^ Cassius Clay. sports-reference.com. Sports Reference LLC. [17 January 2014]. 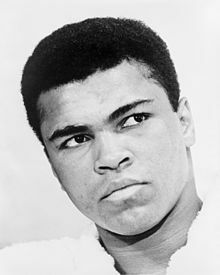 ^ 2.0 2.1 2.2 Muhammad Ali, 'The Greatest of All Time', Dead at 74. NBC News. 2016-06-04 [2016-06-04]. So What "Did" Muhammad Ali and Joe Frazier "Really" Think of Women's Boxing ... in ... ah .. 1978?